Box of chocolat Candy. . HD Wallpaper and background images in the chocolat club tagged: chocolate wallpaper chocolate wallpaper. This pic is yum yum!! I love chocolate!!! AAAAAAAAAA!!!!!!!!!! 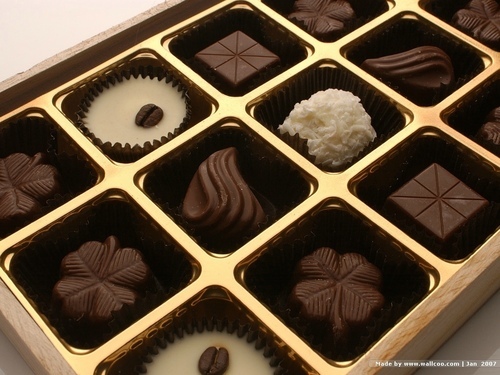 HAPPY CHOCOLATE DAY TO ALL OF YOU!!!!!!!!!!! How to Make Easy Bake four chocolat Cookies!